Many of us hoard book recommendations as though it were a competitive sport. We're built to easily sift through hundreds at a time, logging them into "priority" files in our brain. Just in case our memories short circuit, we also use our handy camera phones to take pictures and store ISBN #'s of friend/family/complete stranger's reading choices (don't you do that?). BUT there are those awesome, wonderful, incredible times when we wander into a book store with absolutely ZERO clue what to buy or look for. We just want to browse, and in those cases sometimes we find THE BEST STUFF EVER. "The Queen of Spells" by Dahlov Ipcar - I picked this one up at a library sale some unknown number of years ago. It was my first Tam Lin retelling. This was even before I read "Fire and Hemlock" (a favority favorite) by Diana Wynne Jones. It's still one of the most uniquely beautiful books that I own and was the portal key that opened up the Tam Lin universe to me. "A Discovery of Witches" by Deobrah Harkness - I hadn't heard about this book from anyone, but had seen it a few times while shopping around for other books. I'd always pick it up, consider it, and then put it back. One day I finally took it home with me and ABSOLUTELY LOVED IT. It's one of the few books on my "reread" list. 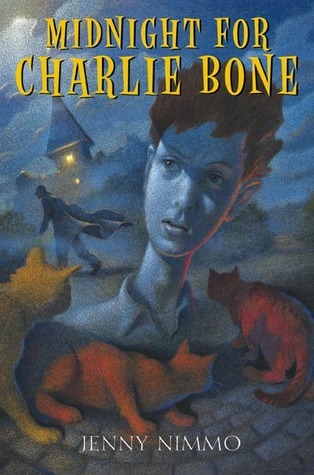 "Midnight For Charlie Bone" by Jenny Nimmo - I still go to the library often to just browse around, but once upon a time it was a passionate hobby of mine. One of those library browsing journeys led me to this lovely lovely gem. I snatched it up and now own every book in the series as a result. 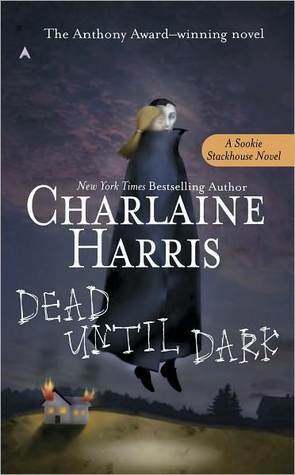 "Dead Until Dark" by Charlaine Harris - I had zero idea this book existed back when it was published. I was still in Jr. High, so... you know. Then, in college, I was at Target looking for things that I didn't need or have the money for and voila! There was "Dead Until Dark". I waffled about it but was on sale, so why not? This was well before True Blood (which, unfortunately, I never really got into) so I didn't have anything to go off of except pure hope that it would be good. It was. It absolutely was. I got my roommate hooked on them and we read all the available ones and then waited impatiently every year for each subsequent novel to be released. Charlaine Harris became one of my favorite authors because of this series. 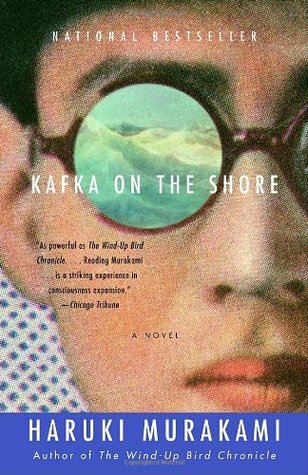 "Kafka on the Shore" by Haruki Murakami - Asian Studies was my minor is college and I was reading Amy Tan and Lisa See and Pearl S. Buck and constantly looking for new fiction reads based in Asia or written by Asian authors. I stumbled upon Haruki Murakami's "Kafka on the Shore" by accident while searching for something completely non related. I wasn't 100% sure about it after reading the synopsis, but I was trying to expand my horizons so I took it home. My. Life. Was. Forever. Altered. To this day I passionately recommend Murakami to friends, relatives, and people hardly know. 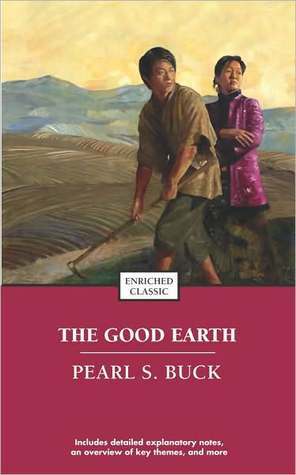 'The Good Earth" by Pearl S. Buck - I came across this book at my local library while I was in High School. Again, another browsing excursion. It became one of the few books I've ever read more than 3 times (that list is very very short). Though I'm a bit burnt out on it now, I still feel a fond tug on my readerly heart everytime I see it on my shelf. 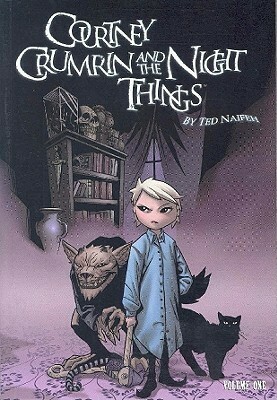 "Courtney Crumrin"by Ted Naifeh - I found V.1 on sale for $1 at a local used book store. It looked like something I would PASSIONATELY ENJOY so in my basket it went. After reading the first volume I immediately went to my library and got the following three, then when I couldn't find the others, I bought them on kindle. I'm very very sad that the series has already ended. I needed it to be about 100 more volumes long. "The Fire Rose" by Mercedes Lackey - The cover. The cover is what did it. I was browsing at the bookstore in the "fantasy" section, just pulling books out at random and there it was. Immediate cover lust. I practically screamed "MINE!" in the middle of the store. Thankfully the story was awesome and I now have nearly all (but the last few) of Ms. Lackey's fairytale series on my shelf. 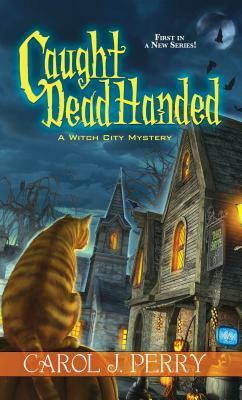 "Caught Dead Handed" by Carol J. Perry - Another episode of cover lust. Also, cozy mystery featuring witches? Yes yes and yes. It ended up being pretty good. Good enough for me to grab the second installment, even though I haven't read it quite yet. What books did you grab on a whim? None of these are my kinds of reads, but some of the covers are definitely eye catching! I've never read any of the books you mentioned, but A Discovery of Witches sounds great and looks beautiful. I've heard of the Charlie Bone series. I wanted to read it for a reading challenge at school but I could never get hold of a copy. Great choices! 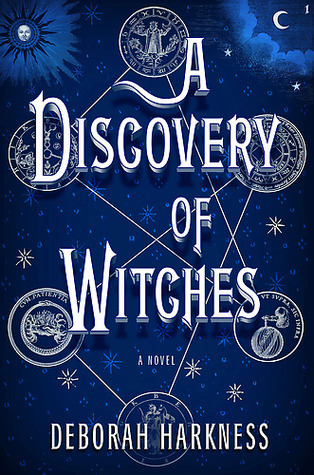 A Discovery of Witches looks fantastic, and it's definitely on my TBR, so I'm glad to hear good things about it! Love A Discovery of Witches and the Spoke Stackhouse novels! 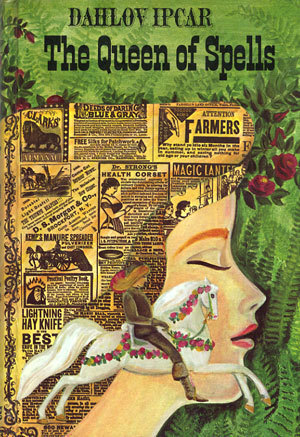 I'll have to check out The Queen of Spells because I love the Tam Lin folktale! I love A Discovery of Witches. However, I still need to read the third book in the series. 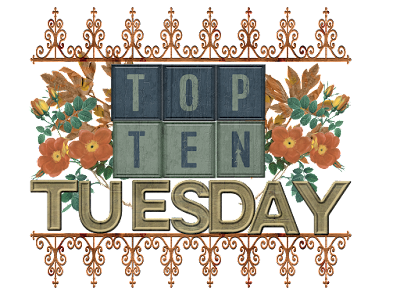 I am beyond excited to see Courtney Crumrin on your list because I was a huge fan of the series back in the early 2000s. I don't know too many people who have read the series. I didn't start reading Dead Until Dark until I heard word that the series was going to be made into a TV show. Great list you have here this week. I love it when you come across a book you've never heard of and it becomes a favorite. It's true, as book bloggers, we have so many recommendations in our heads, it's hard to just let that go and pick up a book we know nothing about. Great list! 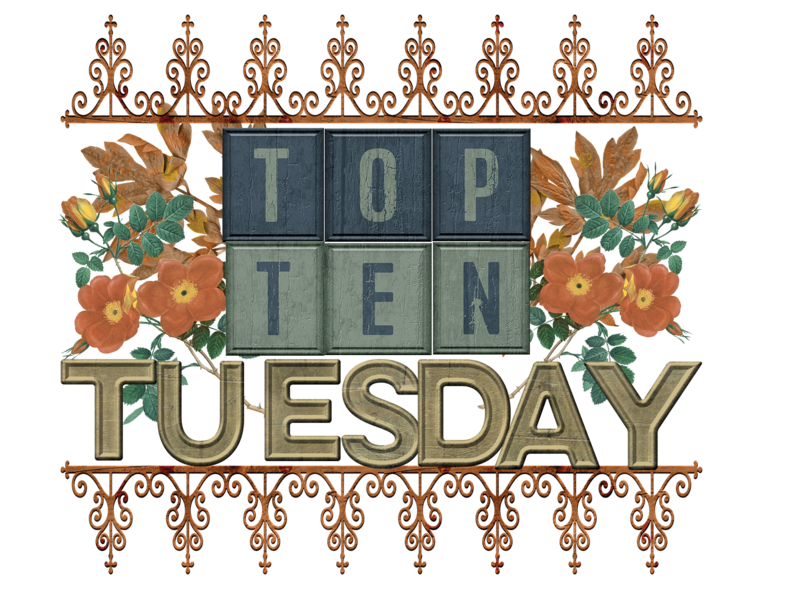 Ahhh so many great books on this list. I really loved Discovery of Witches too. Oddly enough though I've only read the first book in the trilogy. :P I really need to get around to reading the rest. 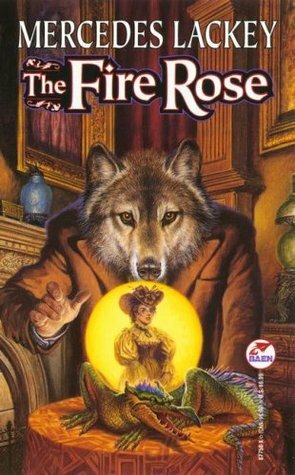 The Fire Rose is one of my favorite books. I really loved that one from Lackey. I definitely enjoyed the Sookie Stackhouse books. Awesome list! I love A Discovery of Witches, and The Good Earth too. I read The Good Earth for a class in college. I've been seeing A Discovery of Witches, I have no idea what it's about but I've been thinking about picking it up. 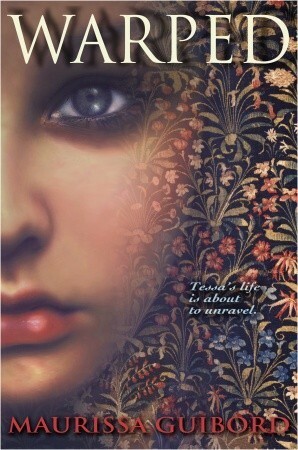 Courtney Crumrin has a nice cover, premise looks interesting too. I'll definitely check it out. I've been trying to get into Murakami but I keep them off because they sound so complex. Haha. Maybe I should give it a try soon. I didn't add it to my list this week, but I'm pretty sure Dead Until Dark was picked up on a whim by me too. This was after I'd heard of (but not watched) True Blood and around my Twilight phase so I was intrigued by it. I also bought A Discovery of Witches on a whim - just like you! I enjoyed it too - although in fairness I went off the rest of the series and haven't actually completed it. Have yet to read a Murakami, but you've convinced me! I literally just read the Courtney Crumrin and the Night Thing and loved it! I'm also a huge fan of Discovery of Witches (I bought the audiobook when it first came out, totally on a whim, and it blew my mind), and Charlaine Harris- which I'm loving her Midnight, Texas series more than anything else she's done so far. Also, your blog is just lovely! I keep meaning to try some of Mercedes Lackey's books I read The House of the Four Winds which co-wrote, but I haven't read any that she has written on her own and I keep seeing people saying she is a really good fantasy author.